Secluded between mountains and sea, enveloped in 25. 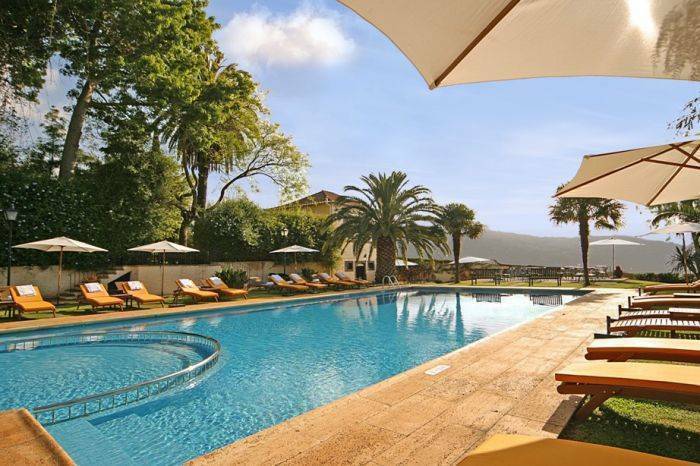 000 sqm of luxurious gardens, with sweeping views of the mountains, sea and Funchals amphitheatre & bay, Quinta da Bela Vista is located in Funchal, just 8 minutes from the town centre and 25 minutes from Madeira International Airport. There is a complimentary hotel 9-seater minibus into Funchal and back during the day from Monday to Friday and on Saturday morning. The complex includes two restaurants, known in the region for its first-class cuisine. 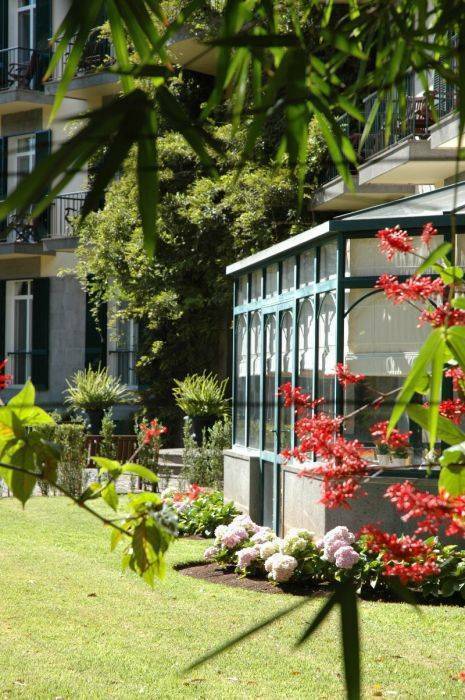 A full European breakfast and a table dHôte menu are served in restaurant Avista Navios, where a bow window transports you to the beautiful gardens. With breathtaking views of the mountains, Funchal bay and the seal, the swimming pool area has an outstanding sun terrace. 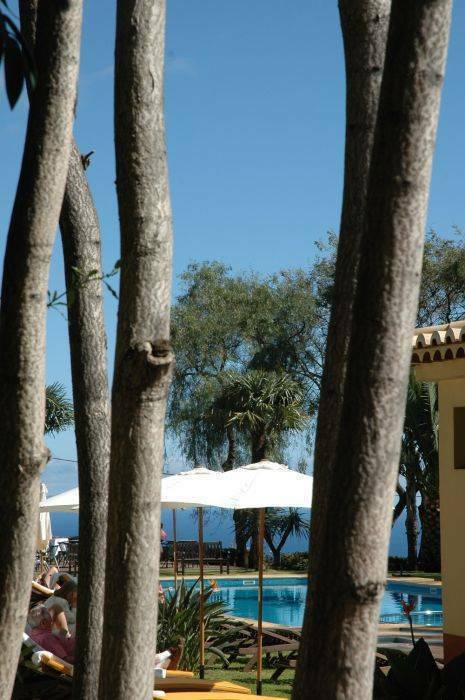 The outdoor freshwater swimming pool is heated all year round the Staff will gladly provide sun lounges, parasols and towels. This is a perfect place to relax as you can also ease yourself into one of the chairs of the poolside snack bar and enjoy a cocktail or lighter meal, while overlooking Funchal bay. The Quinta is set in 25. 000 sqm of old established gardens with narrow cobbled paths and many exotic specimen trees and shrubs, such as kapok, paulownia, hibiscus and colourful flowering creepers. 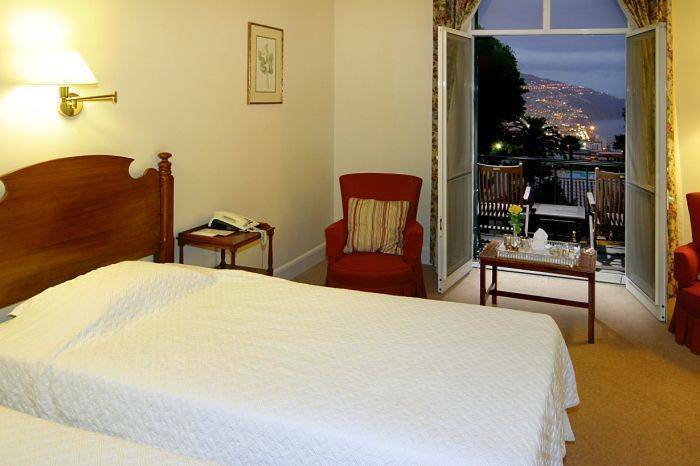 It is situated on the hillside on the northwest outskirts of Funchal, 1, 5 miles from centre, with superb views across the mountains, bay and, on a clear day, to the Desertas Islands. 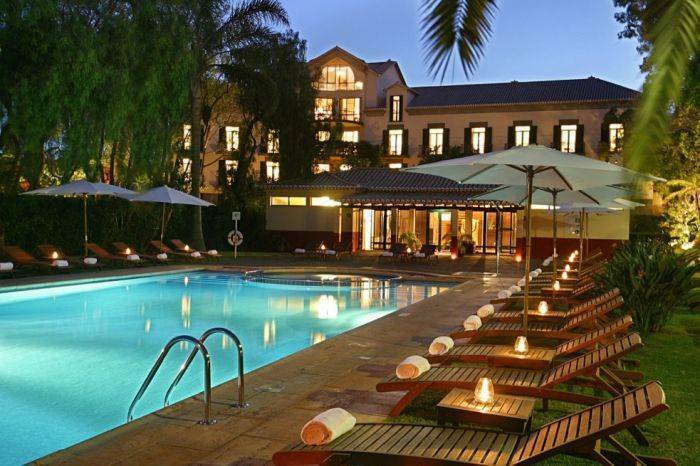 Quinta Bela Vista is located in Funchal, just 8 minutes from the town centre and 25 minutes from Madeira International Airport. All cancellations must be made 48hours before arrival. A cancellation fee of 1 night stay of the resevation will be charged should you fail to cancel 48 before your arrival date. Payment Policy - A non refundable deposit of 10% is paid immediately to confirm your reservation. Leaving Airport, please drive towards Funchal city. 20 minutes after, youll find EXIT Nº 9 Caminho do Pilar/Picos dos Barcelos to your right. Exit from the highway and some metres ahead youll find a Funchal Centro Sign. Be careful, since you have a Stop sign and cars are coming from your right & left. Turn left towards Funchal centre and exit on the 1st road to your right (Caminho do Dr. Barreto). Drive straight ahead until you come to an intersection. Be careful, since you have a Stop sign and cars are coming from your right & left. In front of you youll see a pink wall and a Sign indicating Pavilhão do CAB. Follow the sign.